On the rare occasion that I wake up not feeling like a total zombie, I'm so distracted by helping my kids start their day that I simply neglect my own breakfast. I know I'm not the only mama guilty of this self-neglect, so I'm sharing how Honey Maid Smores from Walmart helps me hack those early morning meal times! We get a lot of our groceries at our local Walmart and their large array of delicious cereals is a huge benefit! When I saw the new Honey Maid Smores option, I knew my kiddos were going to love it. We always pick up a box or two of our favorite flavors while getting our regular groceries and try to stock up so we never run out! Do your babes wake up early like mine? I don't know about you, but scrambling around the kitchen and running back and forth to the pantry first thing in the morning is not my favorite way to start the day. I like to prepare everything I can the night before so that mornings are a grab and go affair. Fill a snack bowl with Honey Maid Smores or your cereal of choice, fill sippy cups with milk, and you're ready for breakfast before your head even hits the pillow. Honey Maid Smores are the perfect cereal for the fall weather that's approaching. 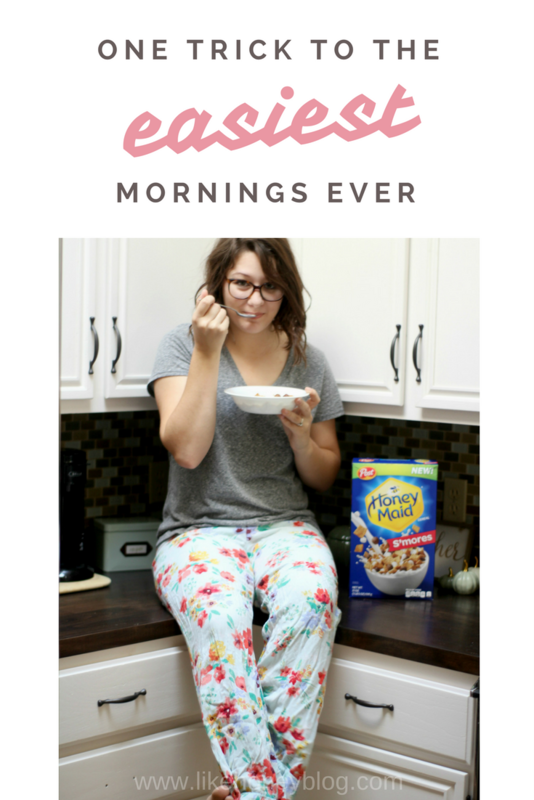 I'm not usually a cereal girl, but this one is a great choice for those mornings where you're craving something sweet in a hurry. 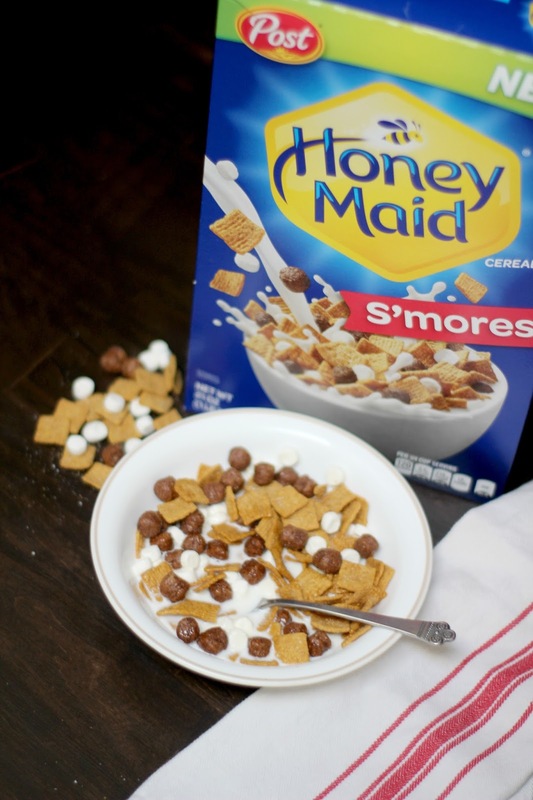 Have you tried the new Honey Maid Smores cereal? What makes morning sweetest for you? Yummy! I have not tried the smore's cereal yet. My kids will love it! I haven't tried this cereal yet, but I do love s'mores. Seems like a yummy way to start a day! i really really really love smores. this cereal is delish. i thought i had all the kid/mom hacks down pat, but i just learned of another -- prepping cereal the night before?! genius.